Typically dark, drab and cavelike, windowless rooms tend to pose a design challenge. They are often the space in your home that is most difficult to determine a proper use and, of course, how to add light. Add plenty of mirrors. 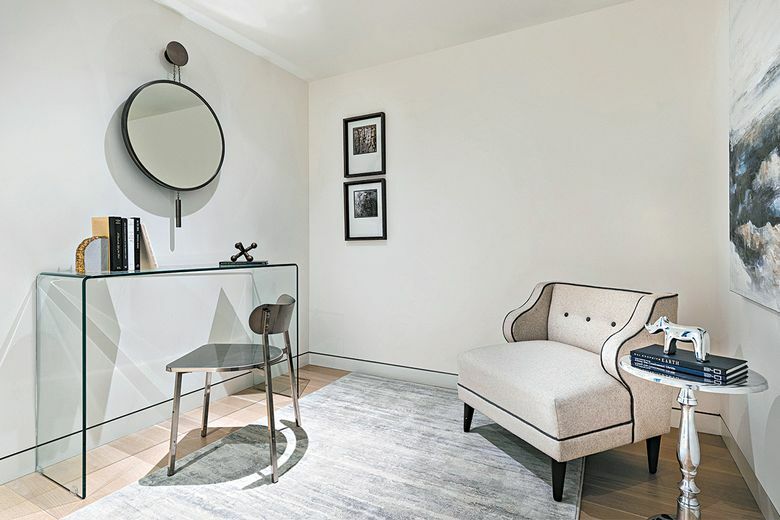 Mirrors in a windowless space instantly act as “windows” and will make a small space feel larger. Consider size and scale. Proper scale is key in these spaces, so they don’t feel stuffed or closed in. Add plenty of extra light. Light sources — ideally three or four different types — will help prevent a windowless room from feeling overly dark. Consider adding an interior window or clerestory. Adding an interior window will help as far as emitting some light. Go light and bright. Light colors such as white, taupe and beige will help make a windowless space feel brighter. Overdo it with dark colors. Dark or darker shades of warm colors will cause walls to visually recede and will close in a space. Discard windowless rooms. These spaces can still be functional and purposeful. Common uses include home offices and even nurseries. Overlook artwork. Artwork plays a key role in adding interest to a windowless space. Forget greenery, accents and accessories. These spaces should shine and be presented just like any other room in your home. Introduce too many colors. A palette of two or three colors will help the space maintain a clean, fresh look.